Recent flooding in suburban St. Louis has devastated many homeowners. A disaster relief unit stocked with equipment is now on the ground to assist our staff and orange-clad volunteers as they minister to distressed homeowners recovering from floods. 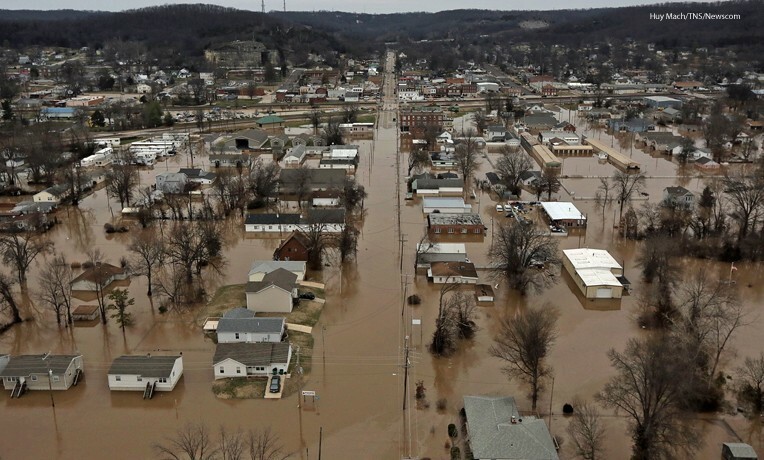 “Devastating, record flooding has affected hundreds of homes and businesses across the St. Louis region and left a trail of destruction and debris,” Missouri Governor Jay Nixon said in a January 2 press release. Holiday storms dumped heavy rain on the area, causing rivers to overflow their banks. The Governor requested a federal emergency declaration for the St. Louis region, which was granted by President Barack Obama. Only in recent days have the waters receded. The work of Samaritan’s Purse is focused on the Fenton area, in the southwestern suburbs of St. Louis. The region is part of the Meramec River watershed, which flows into the Mississippi. Our host church is Southgate Church in neighboring Crestwood. 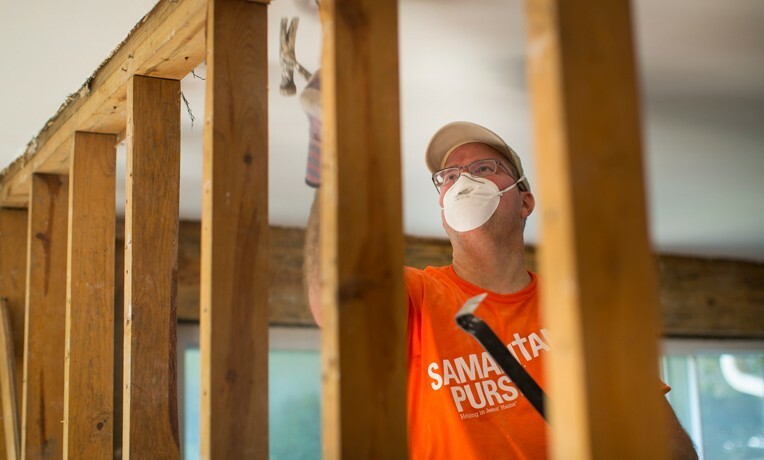 Currently, we also have teams working in northern Mississippi, helping homeowners who suffered property damage during a recent tornado outbreak. Please pray for our response in Missouri as we provide practical help and spiritual comfort in Jesus’ Name during this difficult time.